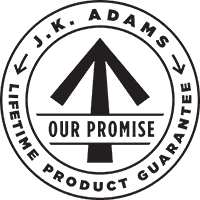 Whether buying from us as a retail or wholesale customer, we want you to be completely satisfied with your JK Adams purchase and experience. 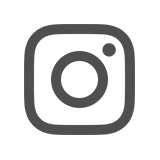 If you are not happy with the product you receive for any reason or you receive a damaged product please contact us and one of our team members will work with you to replace or return the product. All returns and exchanges must be made within 60 days of purchase in new, unused condition. Return shipping will not be refunded unless an item is defective or it has been shipped to you in error. In the case of defective merchandise, please call us. Please note that special orders are non-refundable. Lifetime Guarantee. No questions asked. 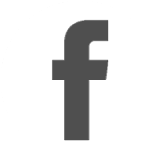 Each product comes to you with a 100% satisfaction guarantee. If you ever have any problems with a JK Adams product, we will replace it with no questions asked. Our products are designed to be functional, sustainable and timeless - for you and for generations of cooks to come. You may email a picture of the entire board to retail@jkadams.com with your shipping address and we will send you a replacement board. If the board has been discontinued we will replace the board with one of equal or greater value.